Andersmann have just released a brand new sports chrono – simply known as the Andersmann Chronograph 300M, it offers many of the same popular design features that can be found on their previous models in the form of a stylish sports chronograph. Working off of a triple-layer case construction of bead-blasted Titanium and DLC, the Chrono 300M measures 44mm in diameter with a height of 16mm. 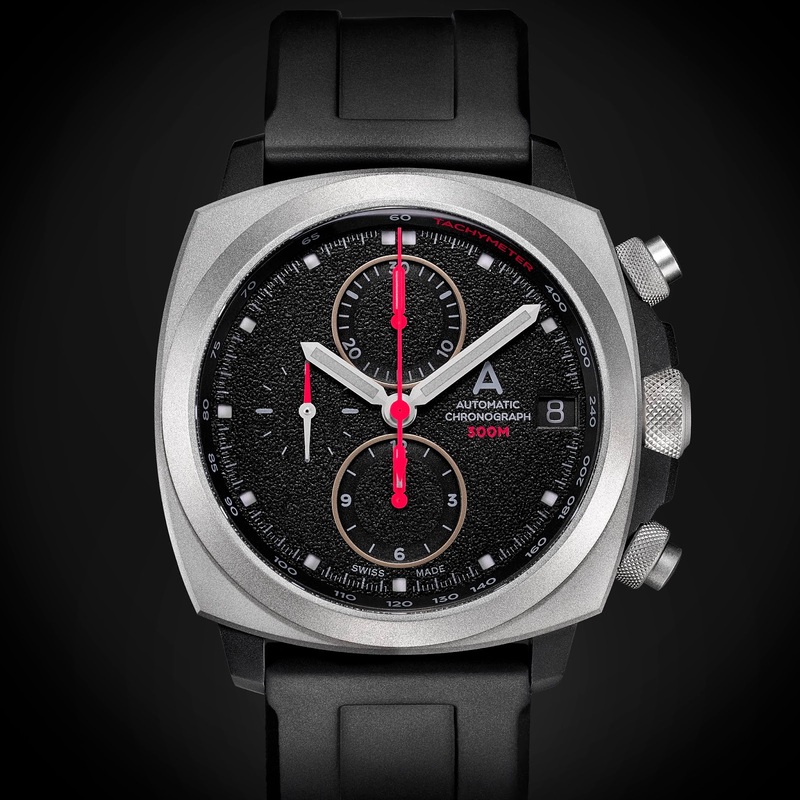 This is fitted with sapphire crystals top and bottom – 3.8mm AR-treated double domed crystal on top and 1.7mm tinted grey at the bottom. 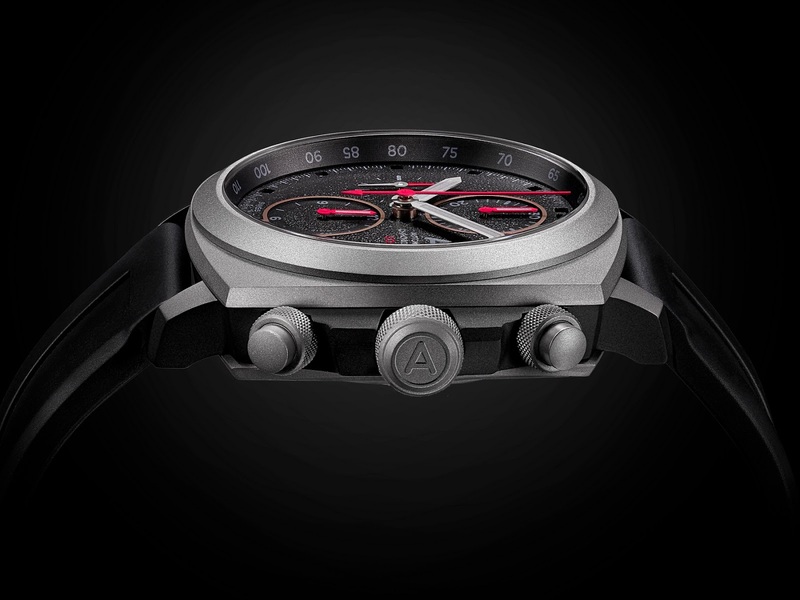 Powering the watches is a reliable Swiss ETA caliber A07.211 self-winding movement with decorated elements which can be viewed through the exhibition case-back. 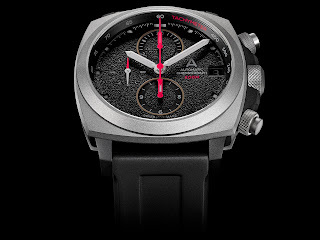 The chronograph function is operable via the two knurled chrono-pushers on the case-side. 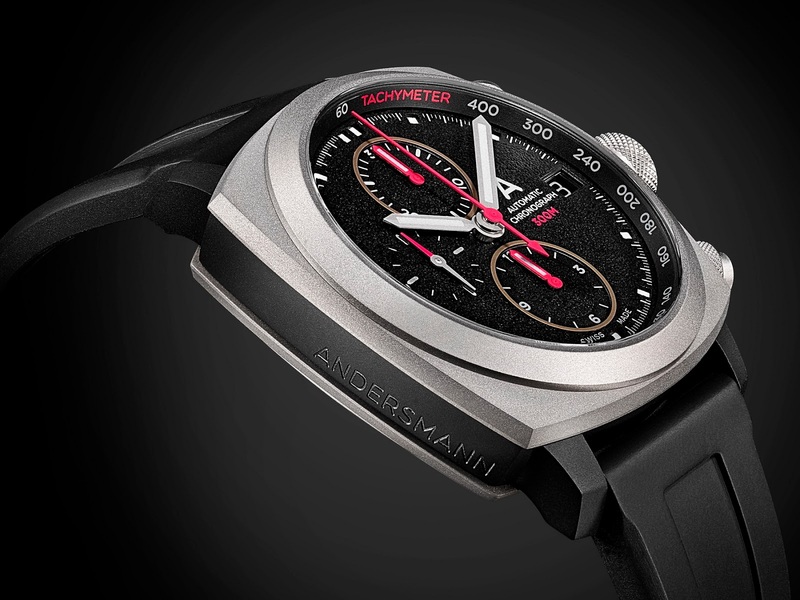 The new Andersmann Chronograph 300M collection is offered in 4 colors (Limited 80 pieces of each): red, orange, blue and yellow. The watches are delivered on FKM rubber straps with Titanium buckles, priced 1580USD which includes FREE shipping and are available to order, now. Thoughts? 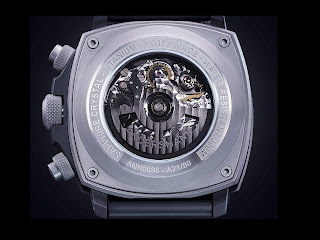 such as their: texturized sandwich dials, knurled crowns, multi-layer case construction and now case engraving which they carry over to each new release; creating a cohesive portfolio that tells its own story while offering some level of familiarity – something that a lot of brands fail to do.